BR Raysoft enables enterprises to reduce costs significantly while increasing the value of its deliverables with respect to price and performance, making it worthwhile, even the smallest of the tasks to be outsourced and requirement to be satisfied. 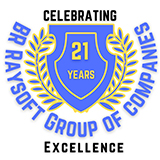 BR Raysoft is the preferred vendor for most of our clients. This is the focus area for the company. We are business associates / partners for Premier IT Corporates, CMM level 5 multinational companies in India. Consulting services are offered in most of the IT skill sets and technologies. Hiring services are provided for IT professionals at all levels. Rapidly changing technology, imbalance between available skills and skills needed for projects necessitate staff augmentation services. We have professional outlook, long experience and awareness of international quality standards, which is reflected in our consultant's performance. BR Raysoft offers right to hire option, which enable the client to retain the talent in house. BR Raysoft offers services with unprecedented efficiency in its sourcing process making it possible, for every project to commence in time and completed within stipulated time.